May not be noted.. Near Fine with no dust jacket. Card Covers. Big Little Books; We fit archival quality clear acrylic covers for additional protection whenever possible. ; Big Little Book; Vol. 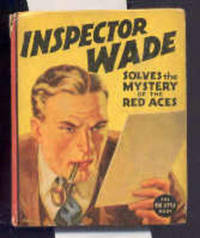 1448; B&W Illustrations; Inspector Wade Solves The Mystery of the Red Aces Racine, WI: Whitman Big Little Book, 1937 . WITH NICE CLEAN APPEARANCE- ATTRACTIVEI................. These fragile little hard paper-covered books have received much collector attention in recent years. Due to their nature and due to their having been a child's book subject to the normal wear that that entails these are usually found in only fair to good condition. Toning is an unavoidable consequence of the cheap acid paper used and of the books age. Very good condition copies are genuinely scarce and command a significant premium in the marketplace. Fine copies are almost never seen. Hey consist of a story page and a facing comic strip type panel on each odd-even pair of pages. 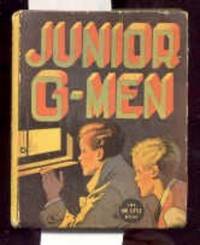 These wonderful books were wildly popular and firmly established the Whitman publishing house. It is sad that so few have survived to the present day. 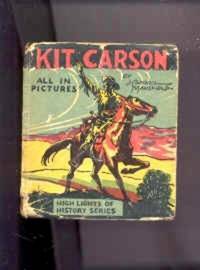 COMICS, CHILDREN'S ILLUSTRATED, CLASSIC, COMIC STRIP, GRAPHIC NOVELS, JUVENILE, CHILDREN'S PICTURE BOOK FIRST EDITION THUS, MYSTERY, DETECTIVE, BIG LITTLE BOOK, BETTER LITTLE BOOK, BIGGER LITTLE BOOK, SAALFIELD, WHITMAN See our other Big Little Books . 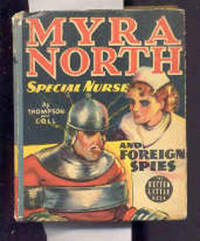 Publisher: May not be noted.